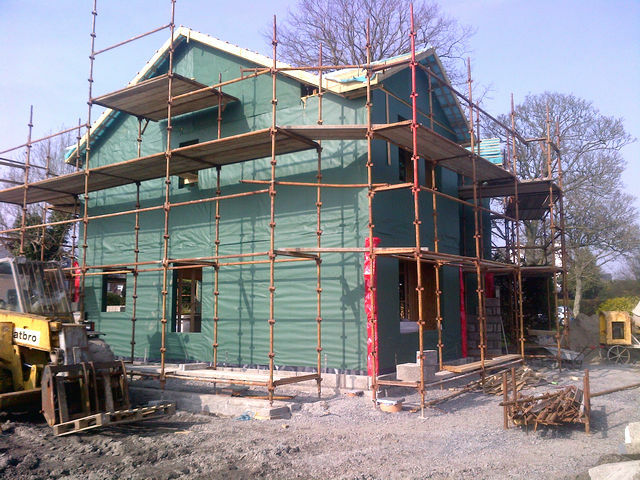 Kilbroney timber frame supplied and erected this Timber frame in January 2013. 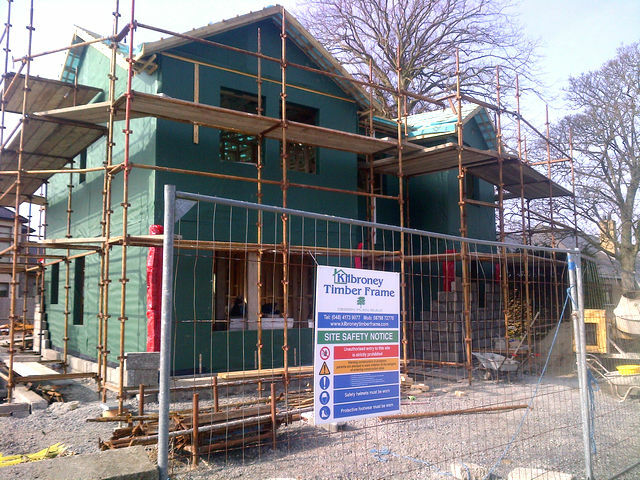 We also will be completing the internal insulation, plasterboard, felt, lath and also providing well insulated windows. 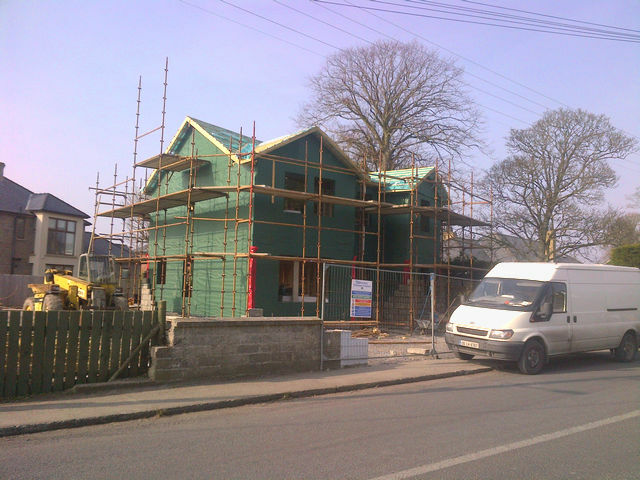 Timber frame kit includes external 150mm stud work with 100mm internal partitions. All stud work rails are done at 400mm centres. 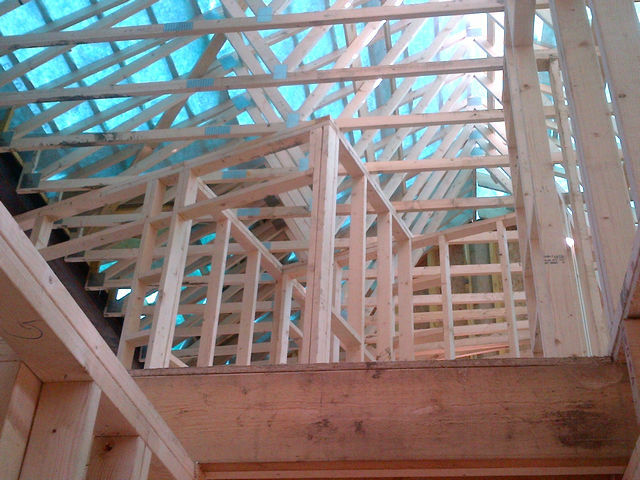 Roof trusses where used for the roof construction again all trusses where spaced at 400mm centres. Red bags firebreak between Ground and first floor level. All anchor bars and stapes included to fix the frame to the base. Insulated with 150mm Fibre wool and 40mm PIR rigid board fitted on the inside of the studwork. 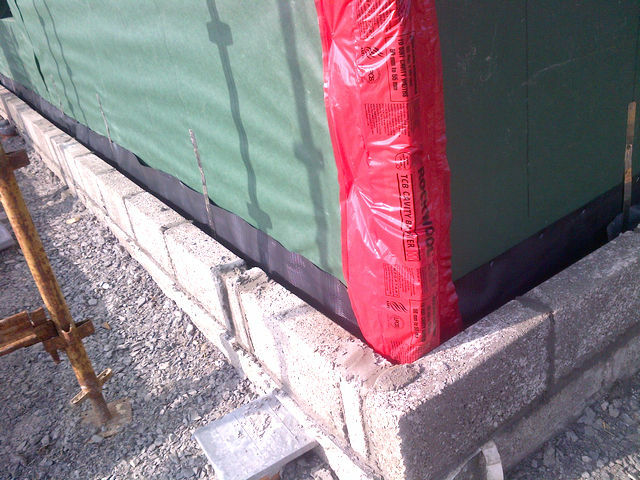 Combined with are air tight metalized reflective membrane this gives us a overall wall u-value of 0.15 wm²k. Insulated with 100mm fibre wool to provide great acoustic values. 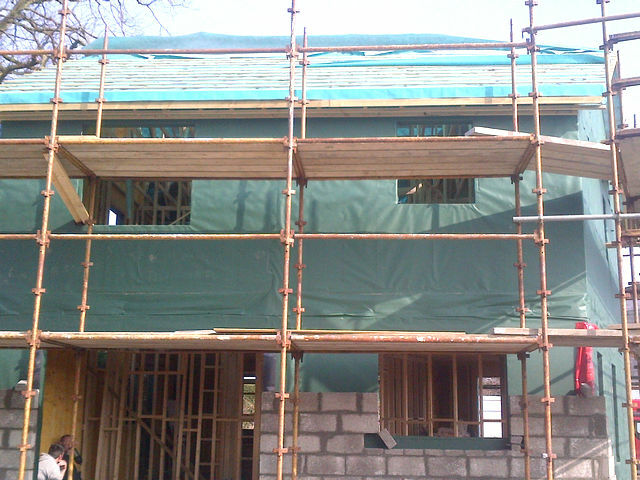 Insulated with 150mm Rockwool fitted in between the joists to create a sound break. 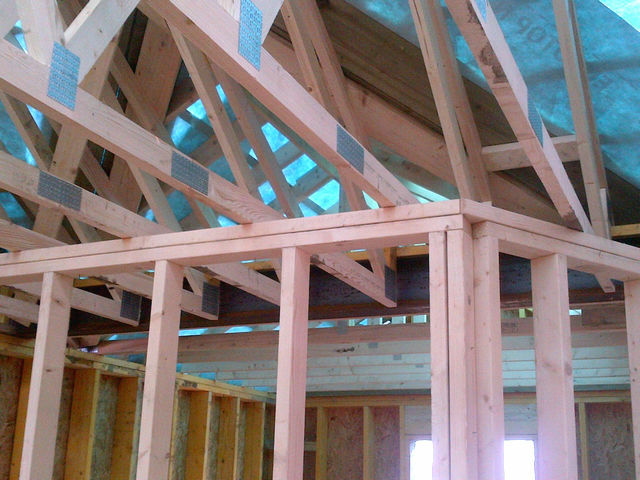 Insulated with 150mm loft wool insulation fitted in between joist and 150mm loft wool above the joists. 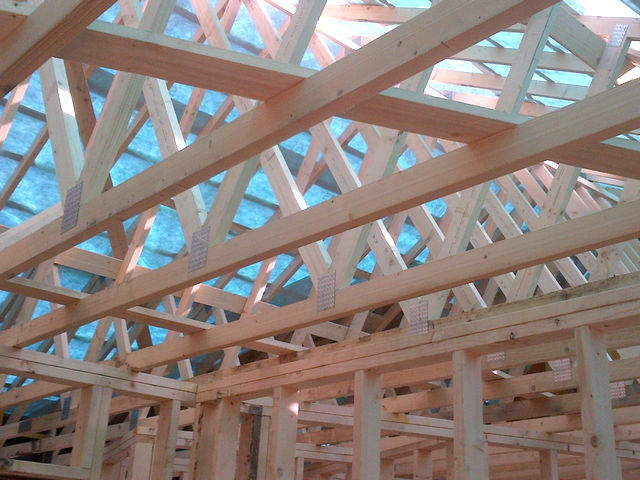 25 MM PIR rigid boards fitted below joists. Over all ceiling U-value 0.12 wm²k. 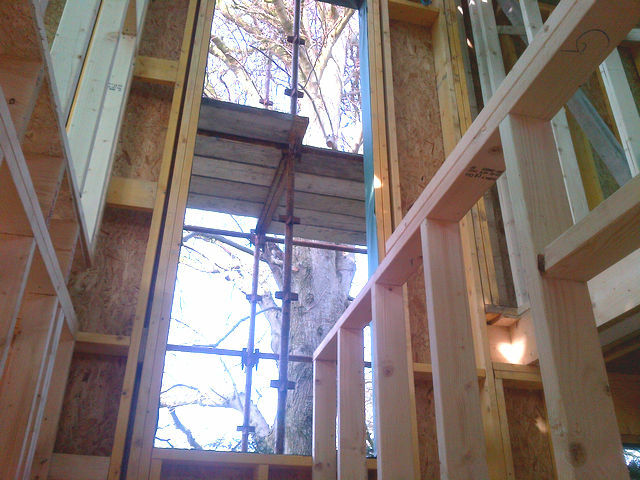 To match are highly effective timber frame walls we fitted future proof Light Oak double glazed PVC windows which are fully passive with a U-Value of 1.2 wm²k.